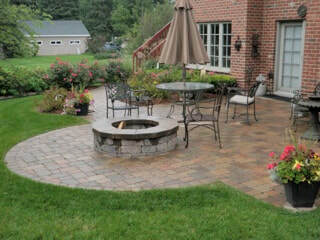 Hardscape - Bailey Brothers Enterprises, Inc.
You’ve decided to add a patio, walkway, retaining wall, or driveway. That’s great! There is no job too big or too small for Bailey Brothers Landscaping. Rest assured, our knowledgeable and trained professionals will work with you throughout the process, turning your inspiration into a beautiful reality.